What a pity Ireland's Qualifying School hopefuls will be fully focussed on the 108-hole marathon ahead of them when they tee it up in the finals at PGA Golf Catalunya from November 28 to December 3. Were it not for the stomach churning grind of trying to earn a ticket to tee it up in the 2010 Race to Dubai, they might have time to fully enjoy the stunning Catalan resort, which was ranked seventh in Golf World magazine’s Top 100 European courses this week. The acclaimed 36-hole resort close to Girona, Barcelona and the spectacular Costa Brava coastline, hosted the 2009 Spanish Open won by Thomas Levet. It has consistently ranked in Golf World's Top 10 since its opening a decade ago and with a stylish 149-room hotel, a new modernist clubhouse and the release of its first phase of exclusive residences,it is recognised as a world class golf estate in one of the most naturally beautiful and culturally distinctive regions of Spain. Golf Monthly voted the course, designed by Neil Coles and Angel Gallardo, in association with David Williams and European Golf Design, number three in Europe. Billy O’Sullivan, CEO of PGA Golf Catalunya Resort, said: “To have maintained our position within the top 10 in Europe since opening is testament to the quality not only of the golf courses at PGA Golf Catalunya Resort, but the experience and service that visitors receive when they come to the resort. The Financial Times newspaper (September 11, 2009) highlighted Girona and the Costa Brava as one of the most desirable areas to live in the Mediterranean and, despite the economic downturn, a property “hot spot”, citing “Barcelona, Girona, beautiful countryside, the nearby Pyrenees and the world’s top-ranked restaurant, El Bulli, near Girona,” as big regional attractions. The convenient proximity of the resort and its hotel to Girona-Costa Brava and Barcelona Airports means that golfers from across Ireland are less than a two-hour flight away. Tee times, including special offers, are available to book via the resort’s website www.pgacatalunya.com with stay-and-play breaks available either direct from the resort or leading tour operators and travel agents. Kilkenny’s Gary Murphy took another small step towards regaining his card and Niall Kearney showed his huge potential on a wind-lashed second day of the European Tour Qualifying School finals at PGA Golf Catalunya. A cold southwest wind gusting over 30 mph sent scores scoring at the stunning 36-hole Catalan complex just outside Girona but Murphy was up to the challenge as he leapt into a share of seventh place on six under par. Keeping things in perspective is crucial for the 156 hopefuls who will tee it up in the first round of the European Tour Qualifying School finals at PGA Catalunya over the next six days. But while players such as Waterville’s David Higgins and Liverpudlian Nick Dougherty have tasted the big time and know what it takes to get there, juggling desire and expectations with mounting pressure is the big challenge for the less experienced campaigners at Denis O’Brien’s 36-hole Catalan resort. 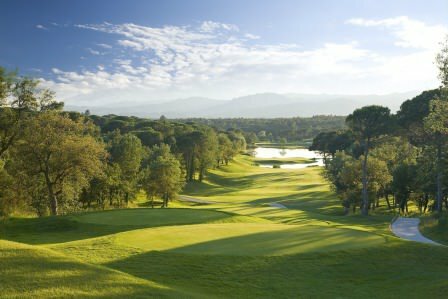 PGA Catalunya Resort. 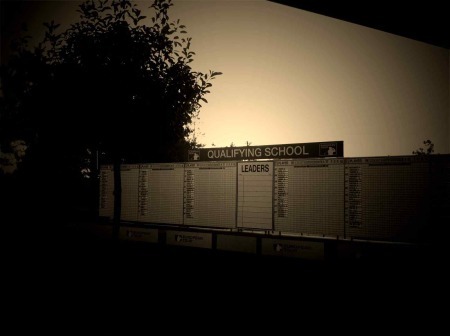 Picture ©Getty ImagesThe European Tour has reached an agreement with PGA Catalunya Resort to host the Qualifying School Final Stage for the next three years. 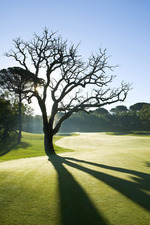 PGA Catalunya Resort’s Stadium Course is being upgraded and lengthened. 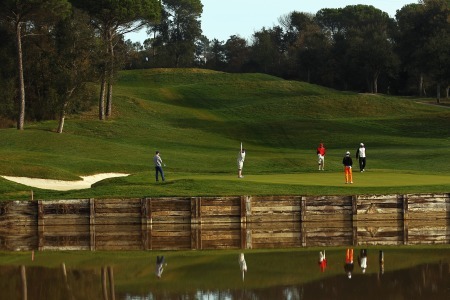 The par four 13th.PGA Catalunya Resort is to significantly upgrade its award-winning Stadium Course as part of a three-year partnership with The European Tour that will see the Qualifying School Final Stage held at the famed 36-hole resort until at least 2014. The par-four 13th at PGA Catalunya Resort’s newly upgraded Stadium Course.Tour winner Nick Dougherty and former Ryder Cup stars Paul Broadhurst and Jarmo Sandelin will be among the first to play the enhanced PGA Catalunya Resort this weekend when it hosts the European Tour Qualifying School Final Stage for the fifth year in a row.